There’s no one in independent film quite like Jim Jarmusch, one of American cinema’s most idiosyncratic filmmakers. Born to Episcopalian parents in Ohio in 1953, the director fell in love with B-movie double bills his mother left him in as a child, and fell into counter-culture arthouse movies in his teens. The director studied Journalism at Northwestern before dropping out and studying literature at Columbia, moving to Paris for ten months and then returning and applying to the film school at NYU’s Tisch School of the Arts, where he worked under legendary “Rebel Without A Cause” director Nicholas Ray, who encouraged the filmmaker’s unique, particular approach. 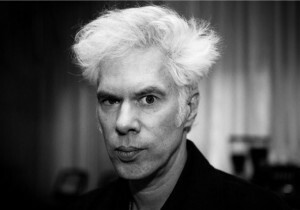 Jarmusch is a sort of perennial outsider: at 15 his hair turned grey, which his friend and collaborator Tom Waits thinks made him “an immigrant in the teenage world. He’s been an immigrant — a benign, fascinated foreigner — ever since. And all his films are about that.” And it’s not hard to see Waits’ point — from little-seen debut “Permanent Vacation” and breakout follow-up “Stranger Than Paradise,” to more recent star-laden films like “Broken Flowers” and “The Limits Of Control,” he’s painted a bleak, disconnected, wryly comic view of the world that’s never quite given him mainstream success, but has made him one of American indie’s most consistent and valuable filmmakers. Jarmusch just got underway on production for his latest film, vampire tale “Only Lovers Left Alive,” which stars Tom Hiddleston, Mia Wasikowska and Anton Yelchin alongside Tilda Swinton and John Hurt, and that should arrive in theaters in 2013. But today sees the Criterion re-release of his third film, 1986’s “Down By Law,” on a shiny new Blu-Ray, and to mark the occasion, we thought it’d be a good time to look back over Jarmusch’s unique filmography (of fiction features, at least). Read on below.